Here is my recently completed Georgian army for DBA 2.2+. DBA Army III/70b: Georgians. 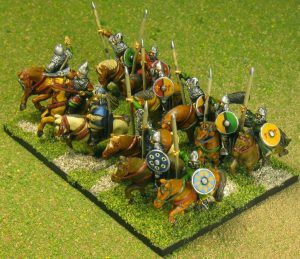 Essex miniatures. Georgian 3Kn General and 3x3Kn. 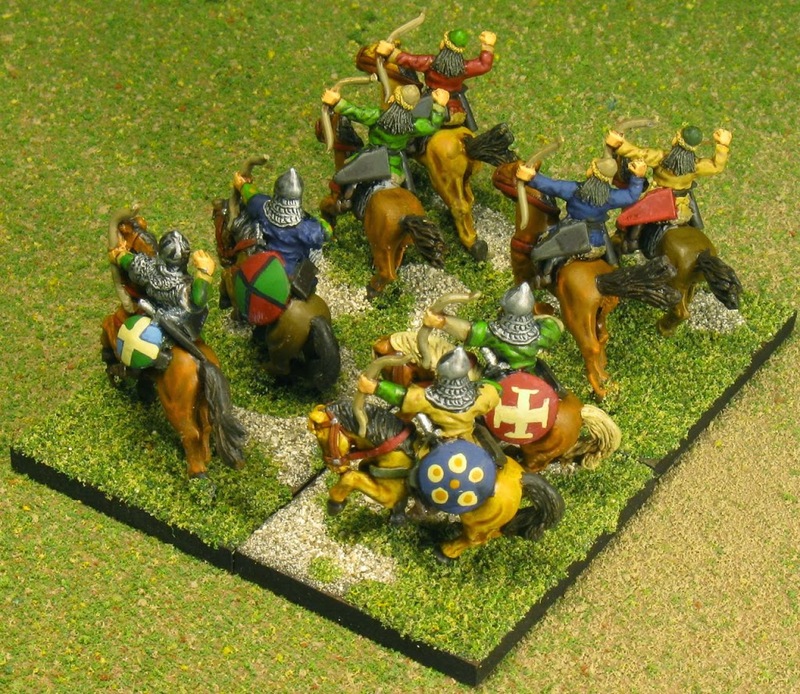 Essex Miniatures. I painted this army for the God Wills It! First Crusade Campaign Theme, which will be run on Saturday night at Fall-In 2013. The primary factor for me choosing this army was that the slot was still available in the campaign. However, I also had a number of the figures on hand, as leftovers from other projects. 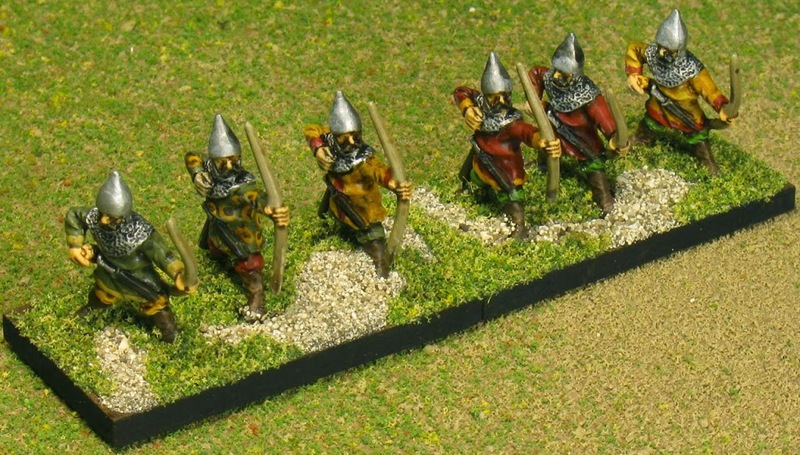 I chose the rest of the figures based on what Jack Sheriff used in his Georgian army. 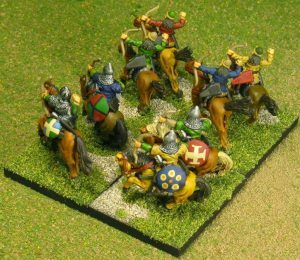 Unlike Jack’s figures, most of mine are stock, unmodified Essex miniatures. 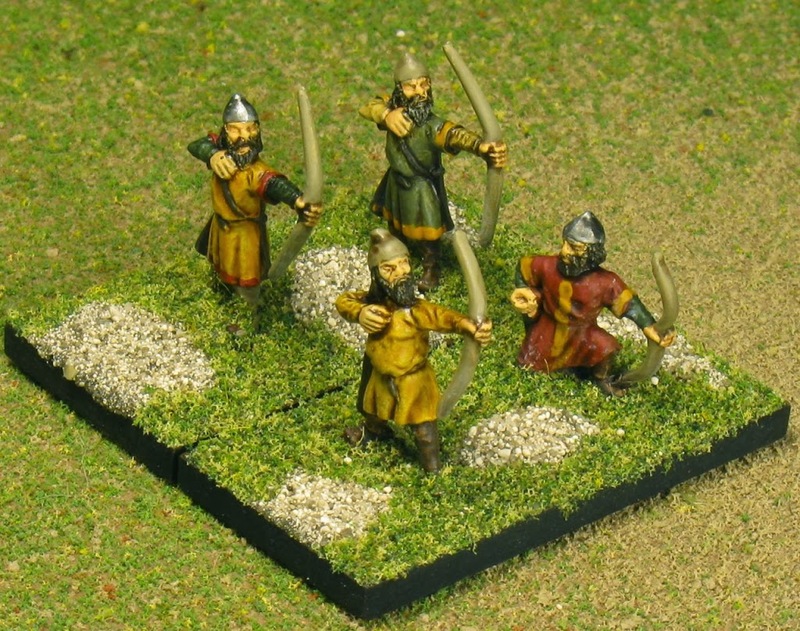 The exceptions are four Light Horse models, which were Bulgar archers. 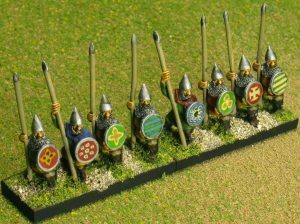 They had large toggles on the front of their coats, which I removed to make them look almost identical to the Essex Kipchak/Cuman figures. The Knights are a mix of Essex Georgian knights and other similar knights. The general and his supporting figures are a generic Eastern European command set. As usual, these are painted primarily with Vallejo acrylics. I use a combination of painted highlights and several colors of ink washes for shading. 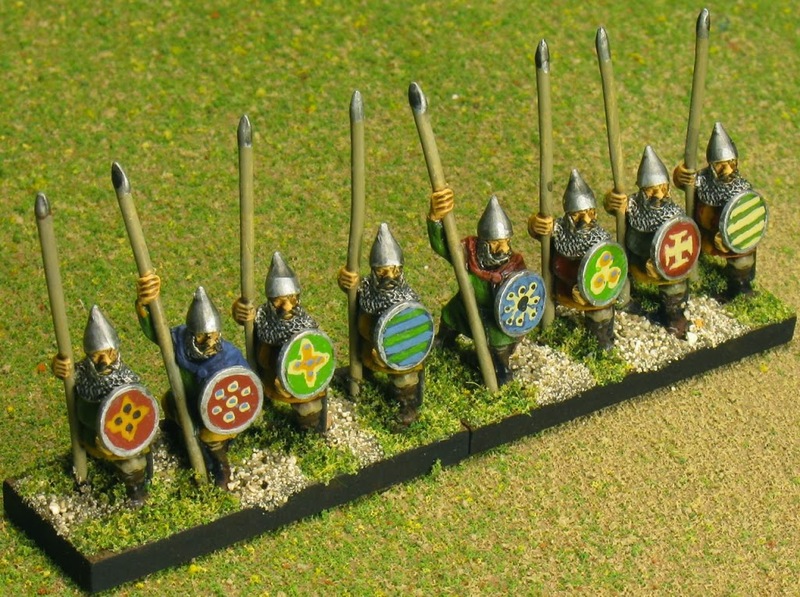 Shields are hand painted.